Delmus Flower Art Prints, welcome to my brand new site! You're wondering where the old "Delmus Flower Art Prints" site is? Look no further, I've changed up a great amount. So stick around, check things out. Let me know what you think! There are lots of pages on flower art, how to create it, how to grow your own, and how to find my art. This is mostly my teaching site now, however, my "fine art site" is here. Prints are coming soon, as well as my originals. You can also find me on Facebook Here!. If you are a web master that had a link to the flower art prints site, allow me to invite you here! Just fill out the contact form below of your link request. If you're really interested in a link exchange, try to have a reciprocal already set up for me. Please, only art related sites! You won't believe how many requests I get for "keylogger" or "memory recovery" sites. 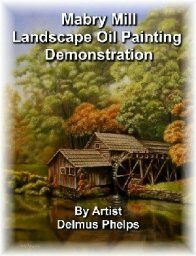 Folks, this is an oil painting site, it has nothing in the world to do with recording somebodies keystrokes or rebuilding a dead hard-drive, which is why I back up my computer on 2 different systems! And even then, the only issue is old software. When my gateway finally gave up the ghost, I lost nothing except a photo manipulating program that is now duplicated by "Google's Picasa" and it works 100% better! And for free to boot! Anyway, I digress. So if you don't have a legitimate art related site, don't waste your time because I don't reciprocate to dating services, computer related, link farms, etc. But if you have a craft site, a personal home page that shows off your handy work, and anything art related from materials, supplies and techniques, great! Just copy paste the code below, fill in the form, and I'll get back to you. No, it will not be weeks, maybe a few days as I get a lot of link requests and unless your site is related, I have to decline. But I will let you know one way or the other if you give me a correct email address. The address is used solely for this purpose. If you are interested in my E-zine, check out the new home page for information. It is an intriguing art magazine that I know you will just fall in love with. Learn how to paint photo realism the easy way! This 400 year old technique will simply amaze you! For Free! Come on give us a click! Or if you have a banners on your link page here's mine! Thanks for visiting! Click on the Navigation bar to get to anywhere on the site. Thanks for visiting! There is so much to discover here.